I was born on in the centre of Moscow (Pushkin Square) in 1955. In 1980 under late Brezhnev era I moved to Italy, where I studied in Rome University and then moved to Milan. At certain periods of my life I lived in Paris and in London. I possess more than 10 years of experience in simultaneous interpretation on high levels comprising international summits (Ministerial meetings, G8, State visits). I am full-time freelance technical translator and interpreter with more than 20 years of experience. 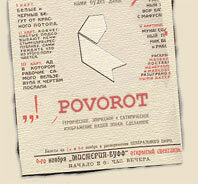 In 1988 I founded Povorot Ltd Company, specializing in interpretation and translations with languages of former Soviet Union countries, continuing to practice as a simultaneous interpreter and technical translator. I am married and have two children aged 8 and 10.